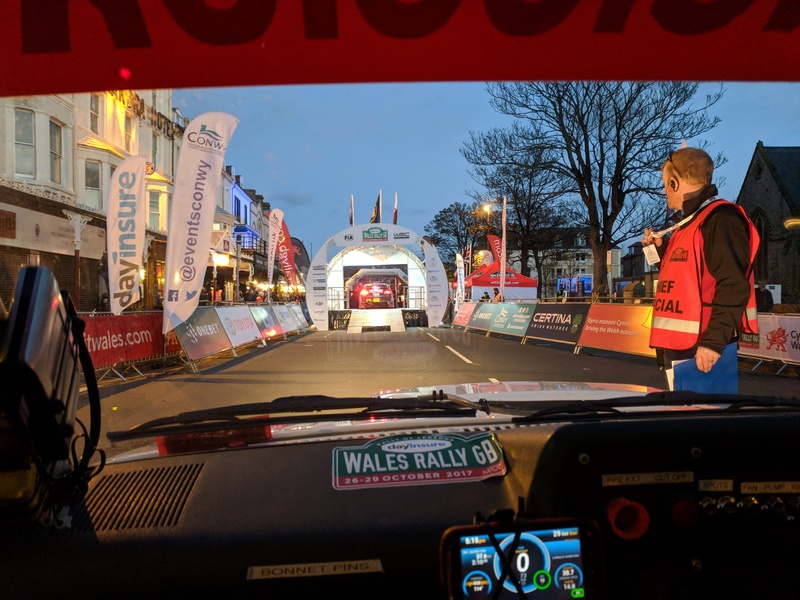 Wales Rally GB had been the target for this year with the events at the Woodpecker and the Trackrod to make sure the car and the crew were ready to tackle an event of this size. This had been a long term aim of the team having grown up watching rally GB long before we bought the first rally car. The chance to finally compete was too good to pass up. Unfortunately the budget wouldn’t quite stretch to the full international event but the 2 day national event was still something to really look forward to. The full team were back together for this event with Sam taking the opportunity to have a holiday (!!) and helping out with the servicing. In true ABC Rallying fashion things weren’t going too smoothly in the lead up to the event. The gearbox had been rebuilt since the Trackrod and some damage was discovered on the pinion on the output shaft. A new shaft was required which delayed the rebuild and it was the Wednesday before the event before the box was back in the car. Unfortunately there was a small problem preventing 1st, 2nd and reverse from being selected. The gear cluster had to come back out and the selectors were reset which seemed to fix the problem. This delayed the first road test until Thursday and the handling wasn’t perfect once the car was out on the road. Some more work to change the suspension geometry and get the car handling properly. Another late night for Mr Black meaning his holiday wasn’t very relaxing but the car was almost ready and a few hours work in the morning and it was finished off and loaded onto the trailer. Sam and Brian took the car straight to Deeside for scrutineering and David, Gordon and Ian made a quick stop at Demon Tweeks in Wrexham for a new crash helmet. The team were the last crew to present the car for scrutineering but it passed with no issues and we were set for the start. 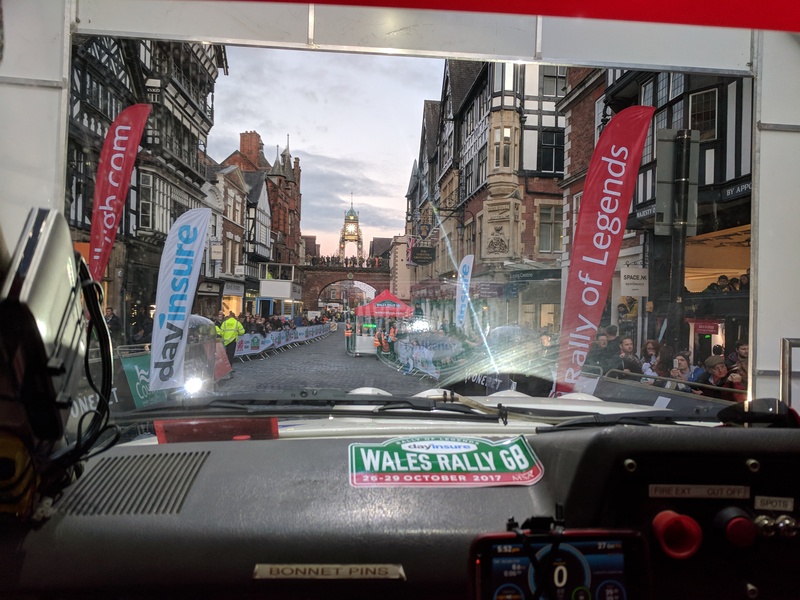 Although we weren’t doing any competitive mileage until Saturday we had to take the car to Chester to take it over the ceremonial start ramp. The atmosphere was fantastic with the streets full of spectators and the excitement really starting to build for the weekend ahead. The rest of Friday night was spent in the service area at Deeside which was the site of the Rally Village. It was fascinating to see how the professionals go rallying. Finally Saturday morning came and we started the event proper. 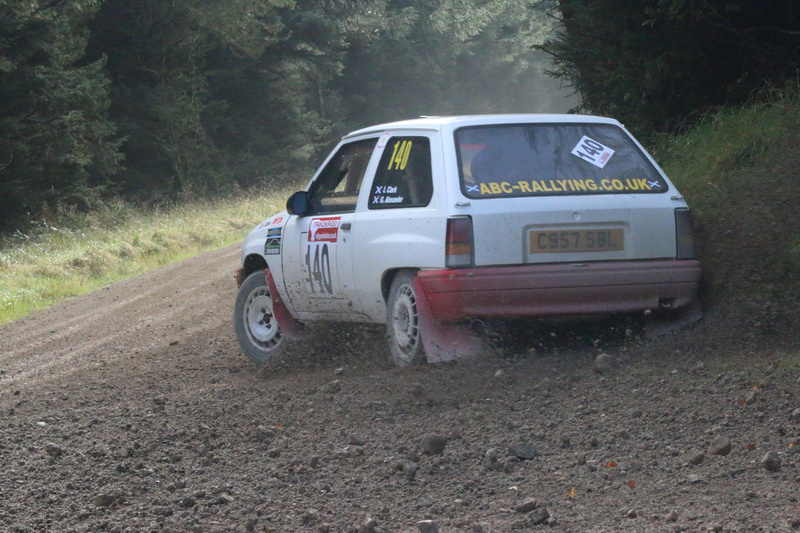 The first stage was a quick blast around Cholmondeley Castle, a short spectator special. We took no chances in here and were ultra cautious still setting a respectable 35th overall. 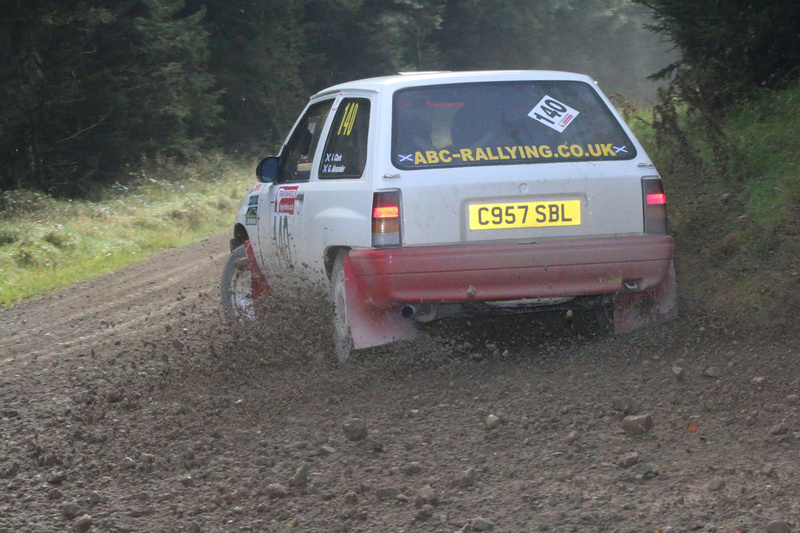 Onto the first gravel stage at Aberhirnant. It was fairly slippy but the car and driver were going well. We caught a car in the stage who got out of the way very quickly and caught another car just as we got to the finish line. No real moments and everything went very smoothly. A clip from Aberhirnant (start at 12:25 if the clip doesn’t start there automatically) – uploaded by Daniel Austen to YouTube. The next stage was Dyfnant and we had a great run through here. The car was very well balanced and was handling beautifully. About 3 miles from the end the handling went funny and there were some bad noises under braking. Gordon suspected a puncture and we continued to the end and then examined the damage. Unfortunately it wasn’t a puncture but some sort of suspension problem as the front wheels were pointing in quite different directions. We headed down the road section to get to the refueling point and then stopped in a layby to get a better look at the damage. 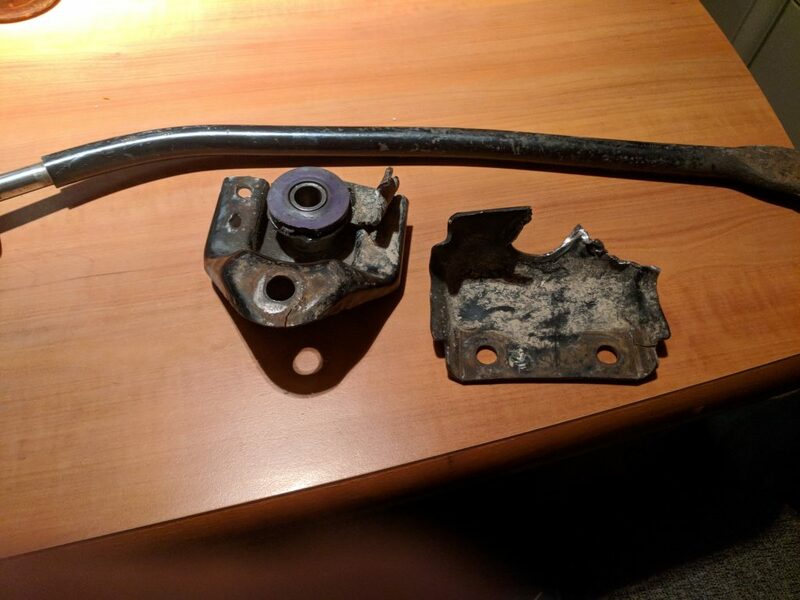 Unfortunately the problem was terminal and the mount holding the tie bar had sheared off completely. 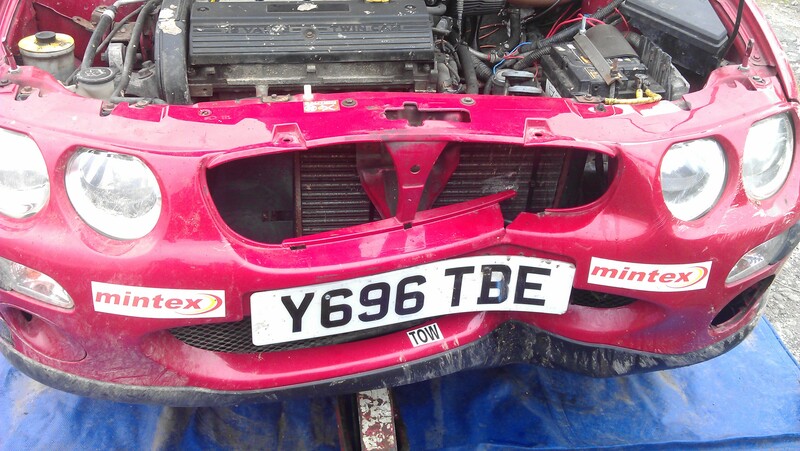 We made some repairs to allow us to drive it back to Deeside but it wouldn’t have been safe to continue on the stages. Sam and Simon met us at Deeside and got to work replacing the broken part. They were soon joined by Brian and David and we got it completed and the car re-scrutineered allowing us to re-start on Sunday morning. Saturday evening was spent watching the WRC cars booking in to the time control after they had completed the night stages. Sunday was a fairly short day with 3 short stages to complete the rally. We were running under rally 2 rules meaning we were carrying some time penalties for missing 2 stages on the previous day. This had dropped us down the order but wouldn’t stop us having fun and enjoying the day. The first Sunday stage was Gwydir. 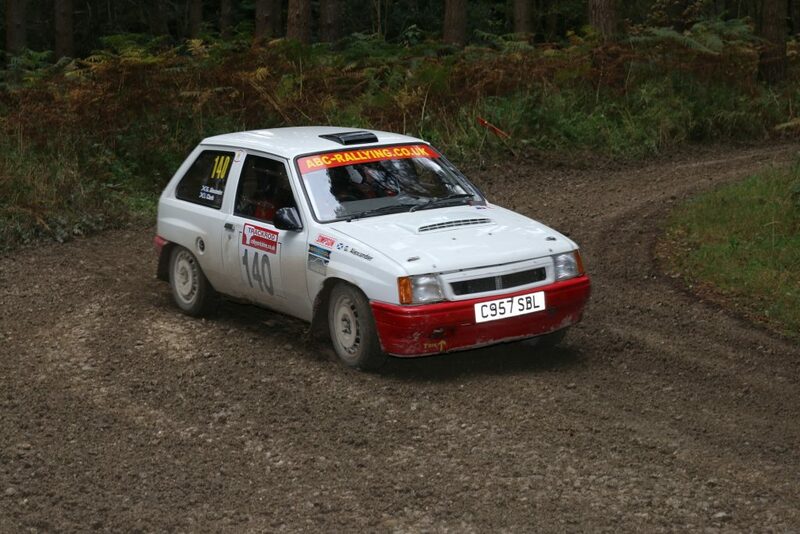 Sitting at the start Gordon recalled that he had done the stage before in the 2016 Cambrian rally. He had overshot a junction and ended up down a fire break in the forest. About halfway through the stage we hit a sudden square right and overshot slightly having a slight spin and stalling the car. At the end Gordon announced that it was the same corner he had overshot last year. Everything else went well and although a few seconds were lost it was still a good time. The next stage was Alwyn. The stage went perfectly and was our best time of the weekend setting 19th quickest time. We then had a short regroup and onto the final stage Brenig. This again went very well right until the last corner. Gordon misheard a note and missed a tight right hander meaning we ran up a banking and stalled. There were a few tense moments as we wondered if there was any damage but we quickly got going and across the finish line. We then had the last road section back to the ceremonial finish in Llandudno. Again there was a great atmosphere with lots of spectators out to see the rally cars completing the rally. We got to the end even although we had to use rally 2 to get there but it was still great to get to the end. The overall result wasn’t spectacular due to missing the 2 stages but the car showed real potential and could have been top 25 if we had had a clean run on the 2 stages we missed. That’s rallying and overall it was a really enjoyable event with great stages and just being part of an event of this stature was an amazing experience. The stages were really busy with spectators and it was great to see so many saltires out on display. Huge thanks to everyone who helped us get there. In particular to Sam Black for spending so much time on the spanners when he was meant to be on holiday. Thanks also to Brian, David and Simon for their assistance over the weekend keeping the car going. 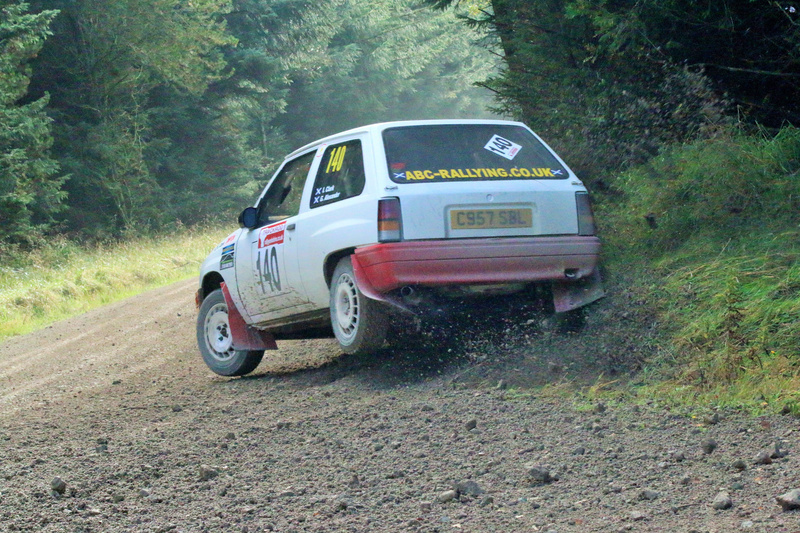 Rally Yorkshire was the next outing for Ian and Gordon in the Nova. Following the braking and handling problems on the previous event on the Woodpecker Gordon decided to get the car set up for the event at ProTec performance to make sure everything was right for this event. Gordon got the car back on the Wednesday before the event and everything was looking good and ready to go. The event was based in Filey in Yorkshire with the service area and the stages in and around the Dalby forest complex. 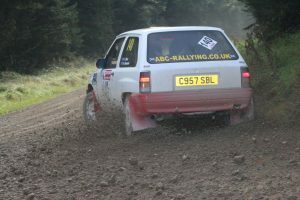 The main objective was to confirm that the handling and brakes were ok and to get more practice in before Wales Rally GB at the end of October. Our first stage was over 13 miles so no time to ease yourself in. It all went well with the only real problem catching the car in front after 3 miles. They must have had a problem as they seen us quickly and moved over at the next junction. The car was handling well and braking nicely as well. We ran wide at a couple of corners but overall everything went well with no problems. 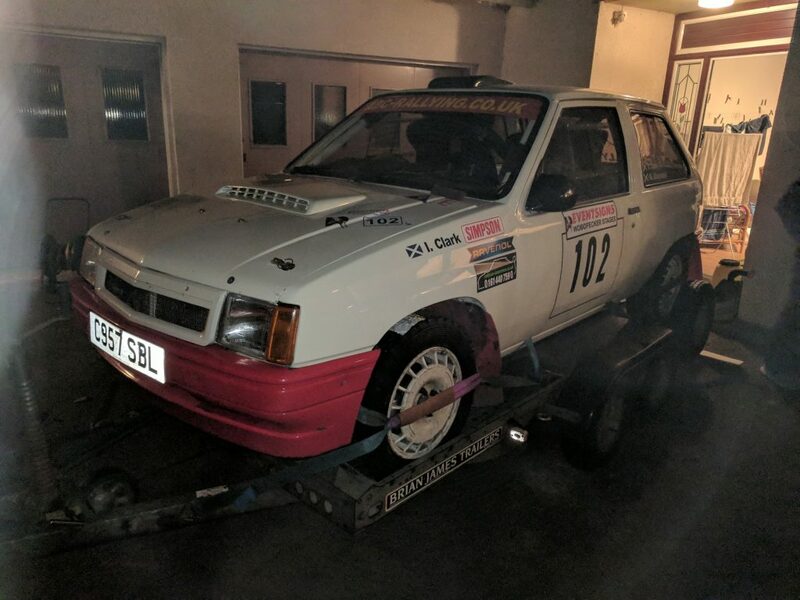 The pictures below show Gordon taking it easy and confirming that the handling and brakes are working fine 🙂 Gordon will claim that it was a late note from Ian. On the second stage we had a brief stall at a hairpin and the only other problem was catching the car in front just before the finish. We couldn’t get past them but followed them directly over the line. This must have confused the timing gear at the finish as we were given a time 40 seconds behind the car that we caught. It was checked at the stop line but couldn’t be changed. It would have to be reported once we got back to service. In service everything went smoothly right until we tried to leave. The car wouldn’t move forward or backwards as something was sticking. Brian and David quickly got the wheels off and found that one of wheels was fouling on the brake caliper. A quick change and and we were on our way again. Another learning point for the new car, 2 of the wheels had a different offset and would only fit on the back. We were late out of service and had used up 8 minutes of lateness out of the allowed 15. The next 2 stages went well although there was a lack of grip from the second choice front tyres after the late change and there were some very big bumps starting to form which was lifting the car off the ground as we hit them making it difficult to judge how hard to take the corners. However no issues and a good run over the 2 stages and then back to service. A temporary repair was made to stiffen up the gear linkage which was becoming a bit loose making it difficult to select gears. We left service and headed to the last stage. Unfortunately we turned in too early and were on the wrong road. We tried to turn but couldn’t select reverse probably due to the temporary repair. All gears had been working in service including reverse but something must have moved and was stopping us using reverse. We had to do the three point turn by pushing the car back and driving forward. We got it round though and made it to the stage start in time without incurring any more lateness. We were able to get the gears working before the stage started. You never plan to need reverse but its good to know its available just in case! We started the last stage and the first couple of miles were exceptionally slippy and muddy, it was a real effort to keep the car on the road. After that it dried out with only the occasional muddy patch but again it was another really good fast stage and the car went well and was handing great. We got to the end with no dramas and then headed back to Filey to the finish. Our dodgy time from the second stage still stood but the 40 seconds wouldn’t have made any difference to the results so we decided just to leave it as it was and get packed up and on the road. Thanks to Brian, David and Samantha for looking after us and the car all day. Gordon has purchased another Nova to replace the MG ZR. Its a 1600 16 valve in white, very similar to the old Nova. The first outing was the Woodpecker Stages based in Ludlow. Being a new car there were a few teething troubles in the week leading up to the event when the power steering broke giving Gordon a few late nights getting it resolved. However Saturday morning came and we set off towards the first stage. All was not well however as the brakes started binding on and the car was struggling to make progress on the road section. When we arrived at the stage there was some time available and fortunately we were able to loosen the brakes off. However the brake balance was all wrong which made the first 2 stages very interesting as the handling wasn’t very predictable. Service was next and some adjustments were made to the brakes to try and improve things. Sadly though the brake binding problem re-occurred on the next road section and the car came to a halt in a lay-by. Repairs were made but unfortunately it took too long and the team and gone OTL and were out of the results before we made it to the start of stage 3. We continued on to get more time in the car and the next 2 stages went well enough with the main problem being dust from the cars in front. Because we were late we were running in among the slower cars right at the back of the field. Back to service and then out again for the last 2 stages. Stage 5 was a short stage and went fine. Stage 6 was the last of the day and fairly long. We booked in a few minutes late to give us a good gap to the car in front so we wouldn’t get caught in the dust. The stage went well although it showed that there wasn’t much grip left in the tyres and that there were a few handling problems that would need to be looked at. We got to the end and covered the route but weren’t classified because we went over the total amount of lateness that was permitted when we had the problem heading to stage 3. Overall it was a good day out and great to back out in a Nova in the forest. Thanks to Brian and David for their help and service and to Simon and his brother for doing the management service. 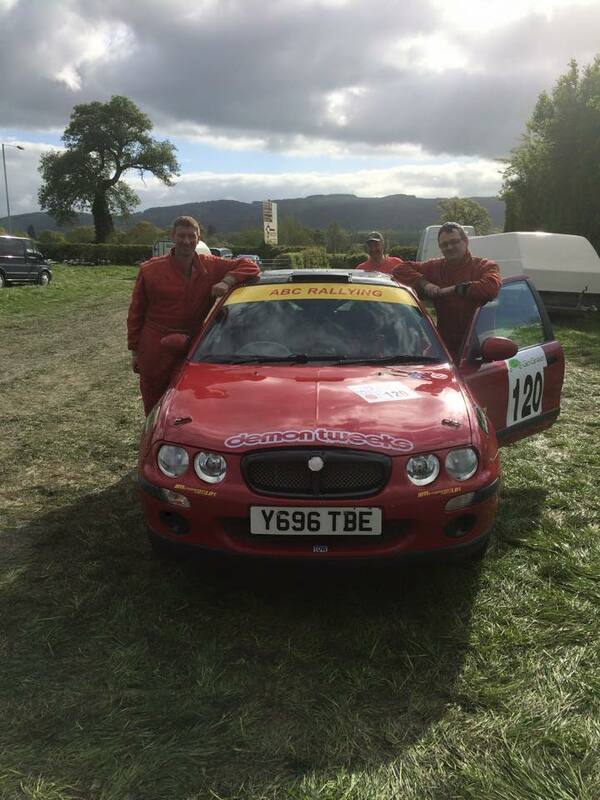 The team decided to try a rally in Wales and the Plains rally based in Welshpool was the event chosen. This would see another outing for the MG ZR that Gordon bought in 2012. The event featured six stages. Stage 1 was a short stage at around 2 and a half miles. It was going well and the car was handling nicely. After a mile and a half we hit a rock in the road really hard. The following corner saw us nearly go off as the car wouldn’t slow down or turn in properly, it was clear that it had been badly damaged by the impact. We weren’t the only ones as there was a car at the following corner with broken steering and a car off the road. We managed to limp the remain three quarters of a mile to the end of the stage. However when the damage was checked it was clear that the car wasn’t going any further without some help. The passenger side front upright was completely bent and broken. The windscreen had been cracked down the middle by the impact as well. We took the car back towards the road and the management service crew, David and Anthony. When we got there we were already OTL and out of time. They managed to get it repaired enough for us to get back to main service. When we got there Brian had managed to borrow a spare upright from another MG crew. We managed to get the upright replaced but by this time we were out of the rally and had missed stage 2. Stage 3 was another short stage and it took a bit of getting used to with one standard strut and one competition strut on the car. Everything went fine and there were no issues. Stage 4 was the longest of the day and we were getting the hang of the unusual handling by now. This stage went very well setting the 99th fastest time out of around 170 cars. Back to main service again and we made some adjustments to the motorsport strut lowering it and softening it to make it handle similar to the standard one. Stage 5 was unfortunately cancelled so we were rerouted straight to the last stage. Stage 6 was a rerun of stage 2 which was the one we had missed in the morning. Again everything went well with a good clean run to the end. It was unfortunate to break the suspension so early in the event but at least we got the milage in and had a good day in the stages. Studying the stage times later revealed that we would probably have been second in class by about a minute if we hadn’t missed stage 2. Gordon bought an MG ZR for competing in rallies down south after he had moved to Shropshire. 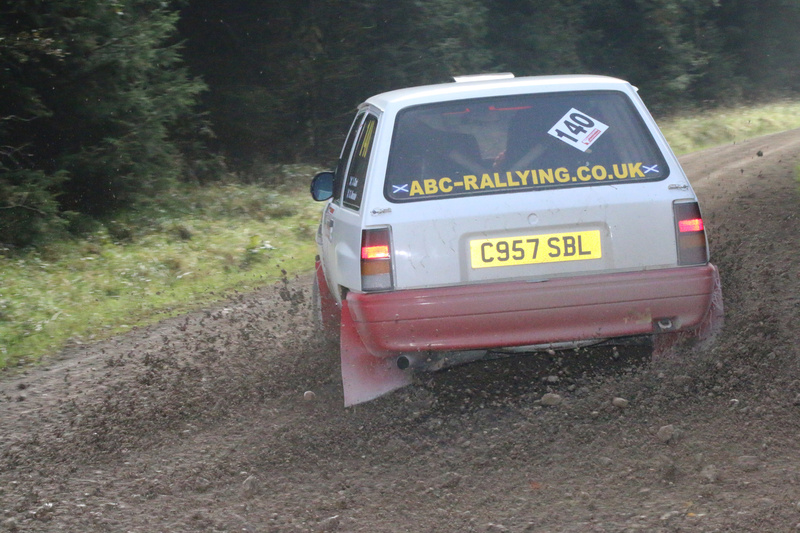 Rather than taking the car straight away the team put in an entry for the Scottish rally in Dumfries. The MG is a bit different from the Nova and while it handles really well it is a bit down on horse power. The first stage went well with no real issues and we were able to feel our way into the event. The second stage was also going well until about half a mile from the end when the car slid off and hit a small tree. There were plenty of spectators and the car was back on the road within 30 seconds or so. Back to service in Dumfries and while waiting to book into the control the team noticed a leak from the back of the car. Unfortunately it was the fuel tank that was leaking and that was day over.